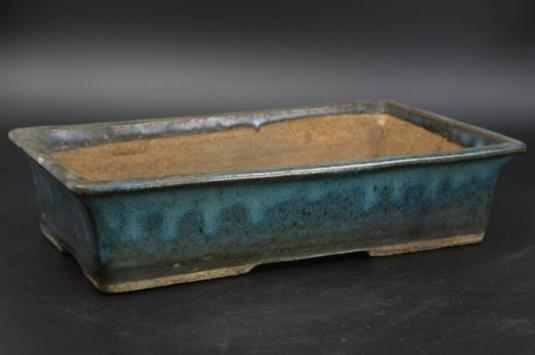 Dating to the Kowatari era, Namako(Nuh-mah-ko), or Sea Cucumber glaze, is one of many Classical Glazes still in use today. 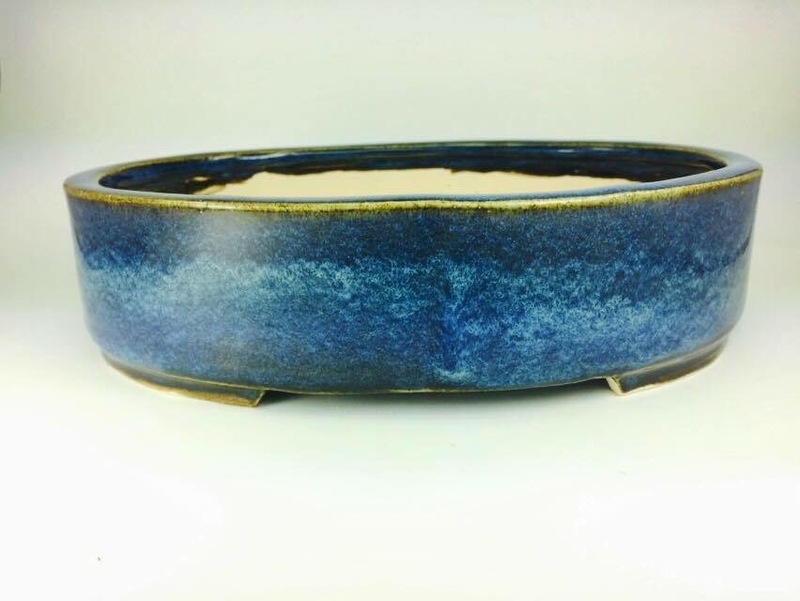 Along with Kinyo(baby blue), Ki(Yellow), Tenmoku, and various Canton glazes, Namako is one of those glazes every Contemporary Japanese artist has their own version and spin on. 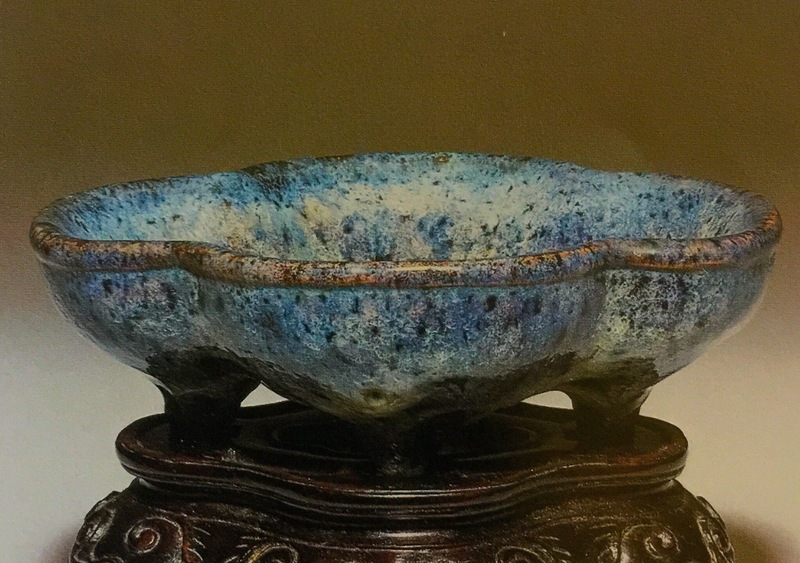 Namako has many characteristics of Chun Blue glazes(thanks Steve) another Classical Chinese glaze that saw its peak in the 11-15th centuries. 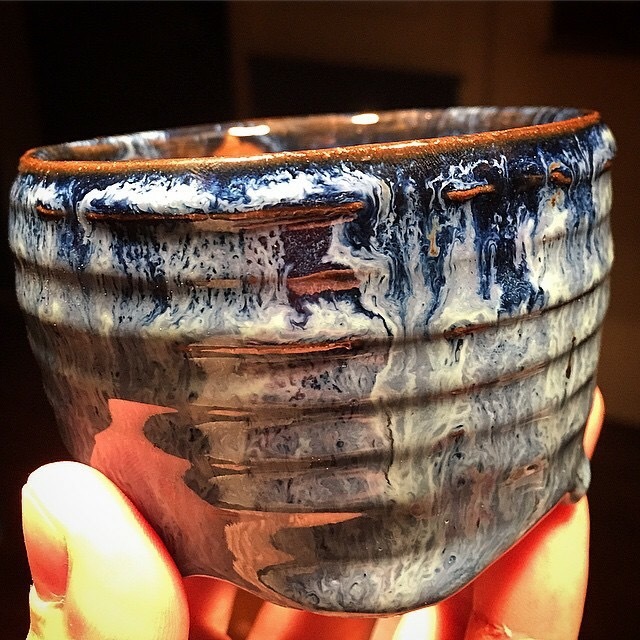 Namako is characteristically dark blue, with notes of browns and white flecks. 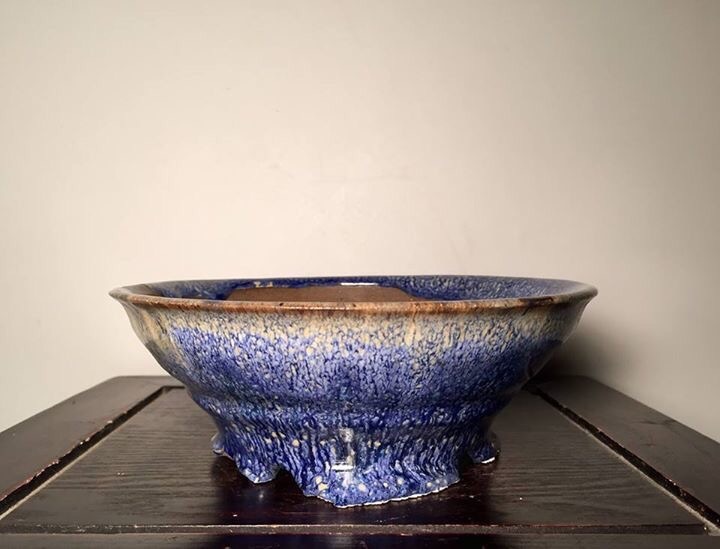 Unlike Kinyo and other blue glazes, Namako gets its blue coloration from “spherules of immiscible glass floating in the larger glass matrix. 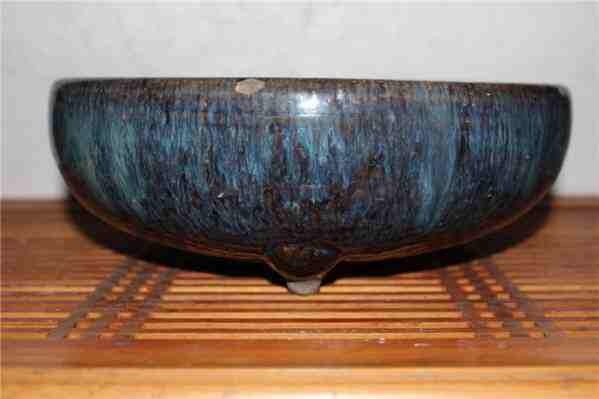 These are of the appropriate size to scatter blue light and not other wavelengths thus making the glaze appear blue to your eye.” Traditional Namako includes things like Bone Ash(Calcium Phosphate) Rice-Straw ash, and Feldspar. The white pattern in the blue is often “Hare’s Fur”, common to Tenmoku and Namako. Sea Cucumber or Sea Slug….you can see where the name comes from! Today we’ll take a look at the many and varied faces of Namako, both from antiquity and the modern era. 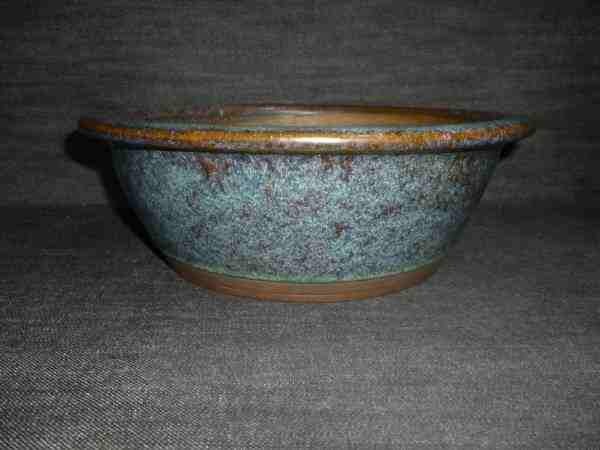 Now, on to the pots! Classical Jingasa(Old Hat) shape with Namako. 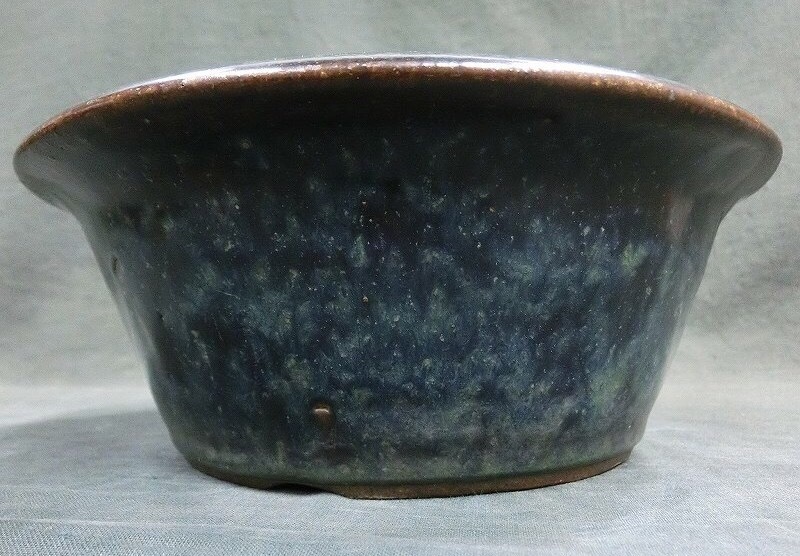 Like many Namako glazes, the white mottling is night-sky-like and shows great depth. 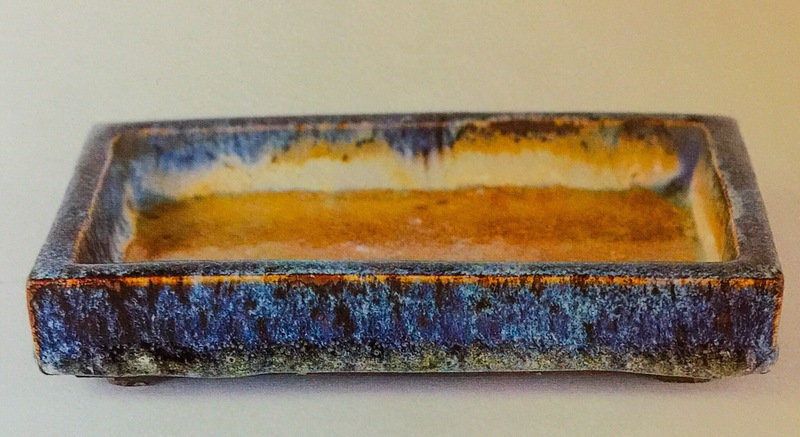 A typical Namako glazed rectangle, showing brown at the corners and angles. 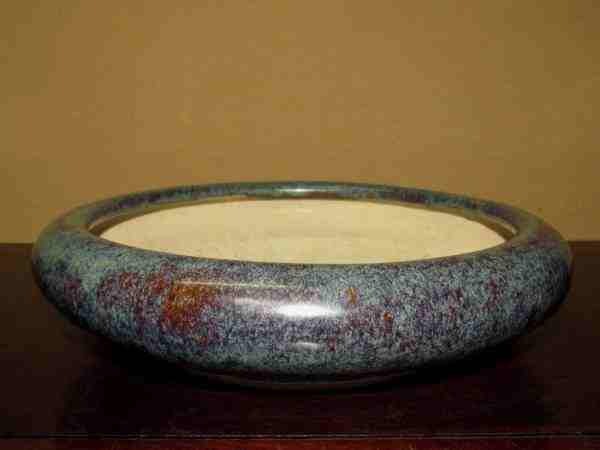 Generally, the darker the clay, the more blue will show, and the lighter, less. 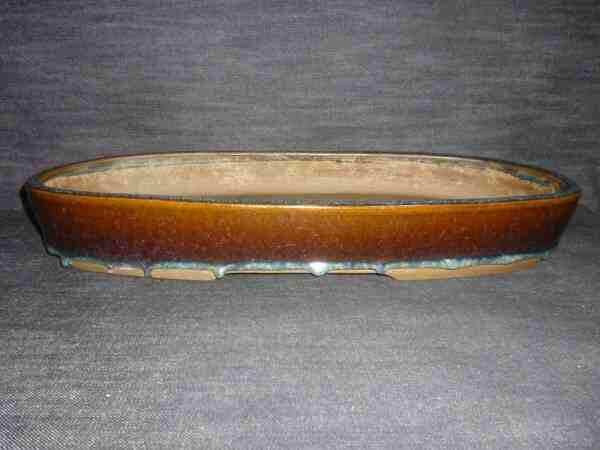 Brown Namako oval. 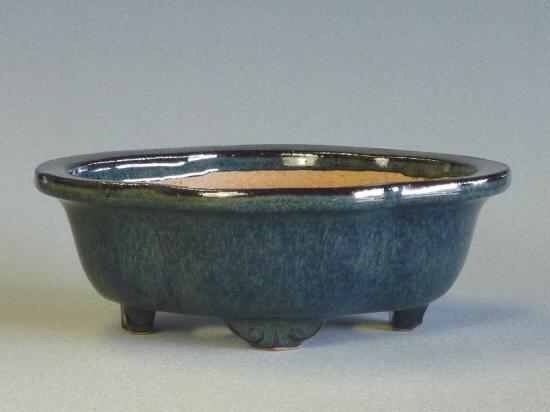 The blue shows in the bottom of the glaze. Round Namako with lip, showing significant white. A subtle Namako rectangle. Darker Namako oval with a good balance of white and blue. A really excellent Namako with soft inner lip(Uchi Buchi, how fun is that to say?) and great depth. Another Brown Namako. 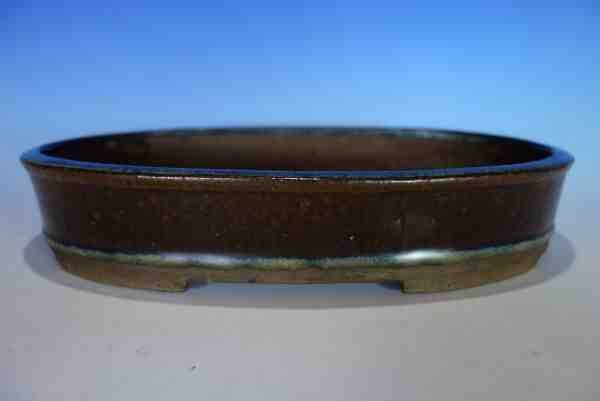 This is an excellent example of why it is often difficult to date Namako, as patina is difficult to see. Nakawatari Namako from Yixing. 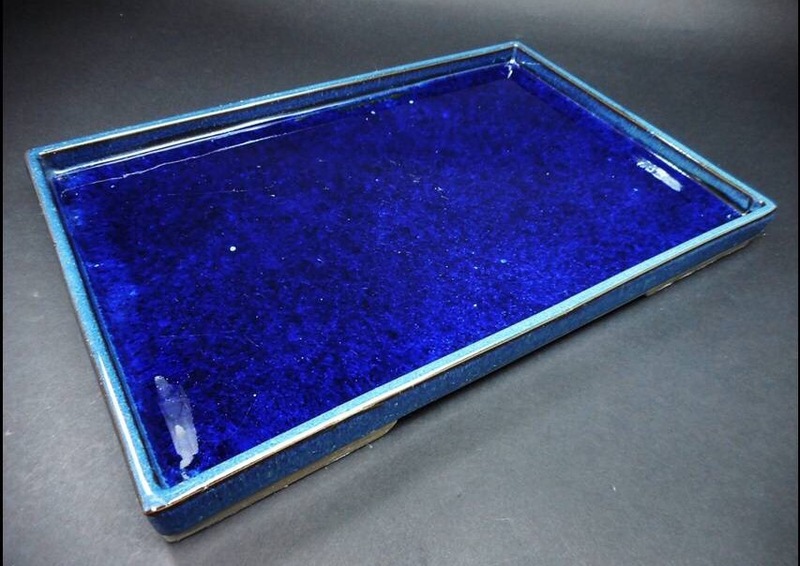 Deep, rich blue and brown at the angles. Namako round showing the desirable Hare’s Fur pattern. The quintessential Hare’s Fur pattern. Namako over Tenmoku. Namako lipped rectangle. 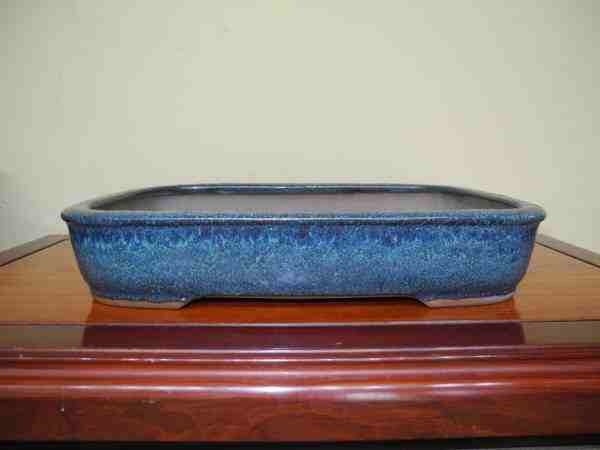 Deep blue with brown at the angles and very light white accents. Kowatari Canton Namako. 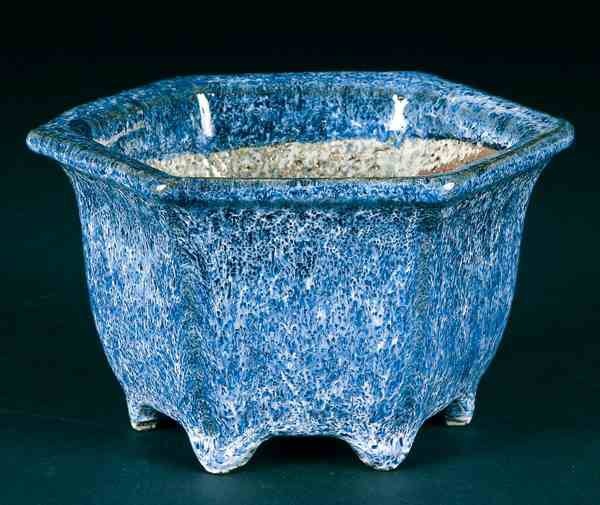 Canton Namako is quite rare, and shows more whites and brighter blues, along with a different type of pattern. Another Kowatari Canton Namako. 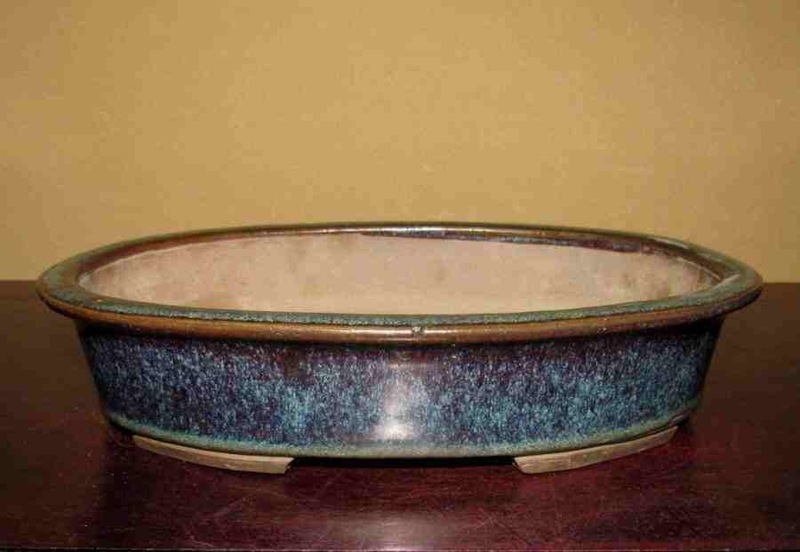 The brighter blues and difference In pattern can clearly be seen on this suiban. While old Chinese Namako was very much shibui(complex but simple and subtle), contemporary Japanese Namako often tends towards hade(indulgently complex, wild). 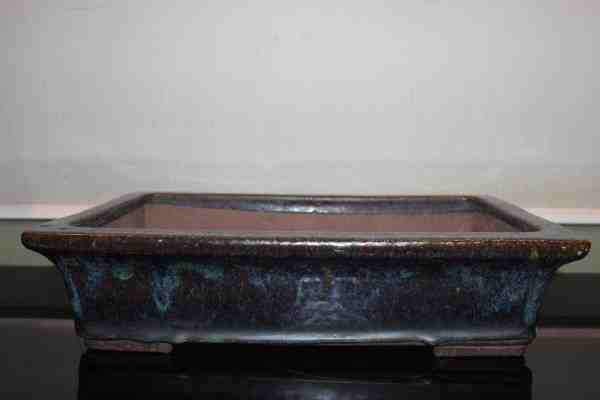 Heian Kouzan, Later edition Namako Rectangle with double incised corners. Suishoen, Tokoname. Namako soft cornered Rectangle. Youzan, Tokoname. Significant whites and running hare’s fur make Youzan Namako quite unique. Hidemi Shuhou, Tokoname. Brighter blues and running whites are more typical of contemporary Japanese Namako. Aiba Kouyou. Crazy Namako. Bushuan. 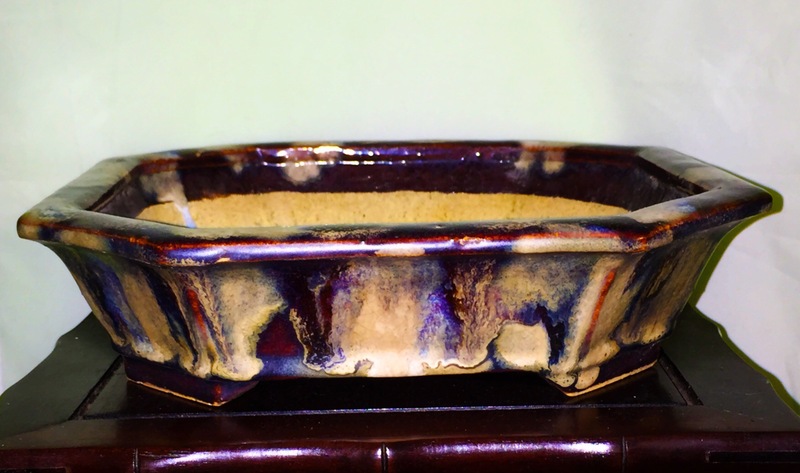 Unlike classical Namako, which is a single glaze, many contemporary artists use multiple glazes for a Namako effect. Taisho Bachi, Japanese Namako(1911-1926). 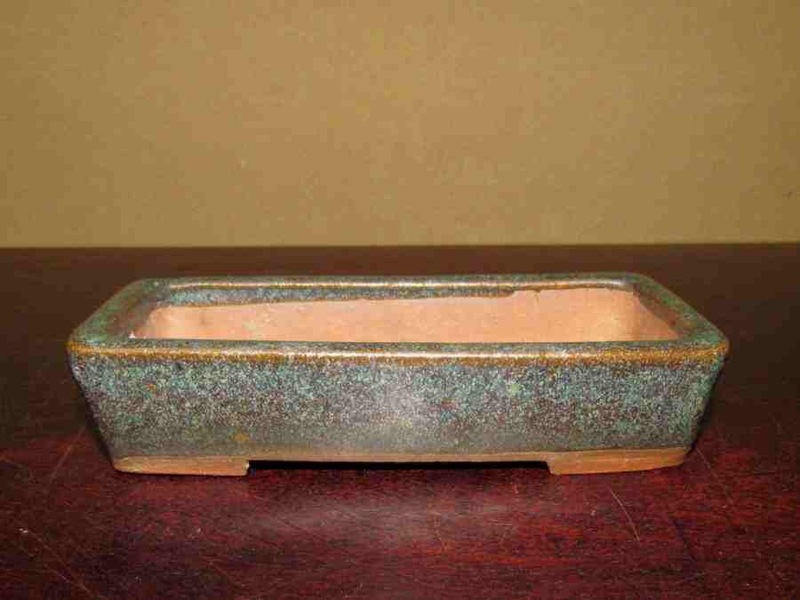 Most Taisho era Japanese bonsai containers are copies of Antique Chinese glazes, and Namako are common. 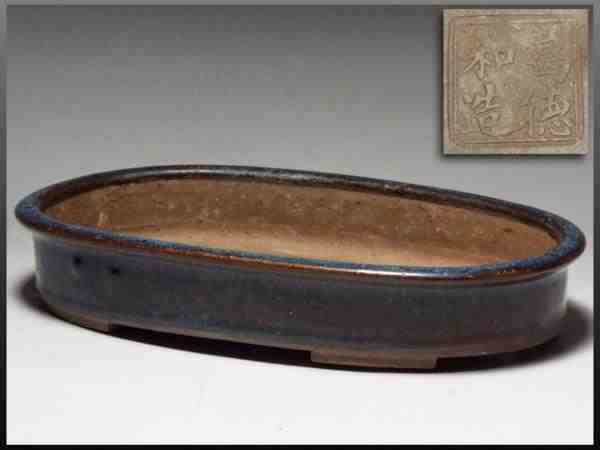 They never show the same level of depth as Antique Chinese Namako. 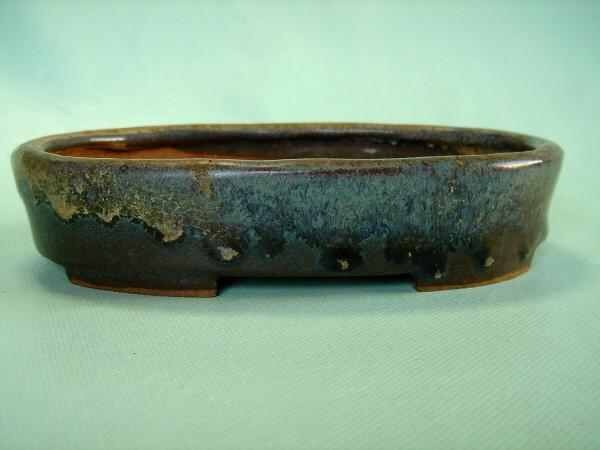 Aiba Kouyou, Tokoname. Koyo has 3 versions of Namako, this is my favorite of the three. Reihou, Tokoname. A very classical style Namako, suiting Reiho’s classical style. Reihou, Tokoname. Another very Classical style Namako. 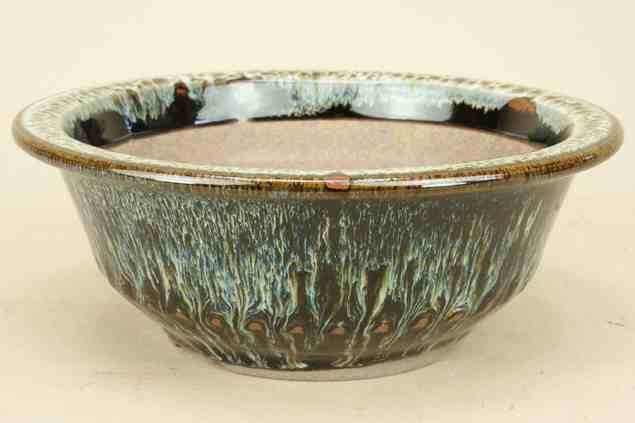 Double Glazed, Namako over Oribe from Gyoumu. 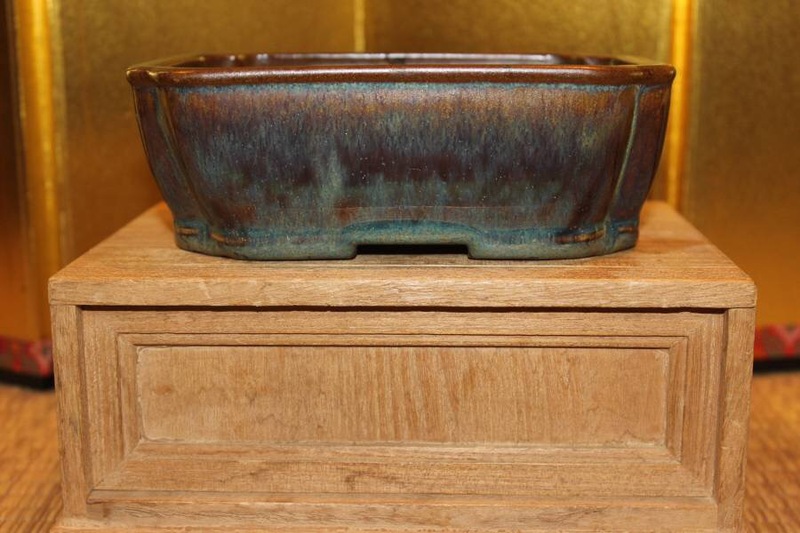 Contemporary artists frequently layer Namako over other glazes, Tenmoku being the most common. 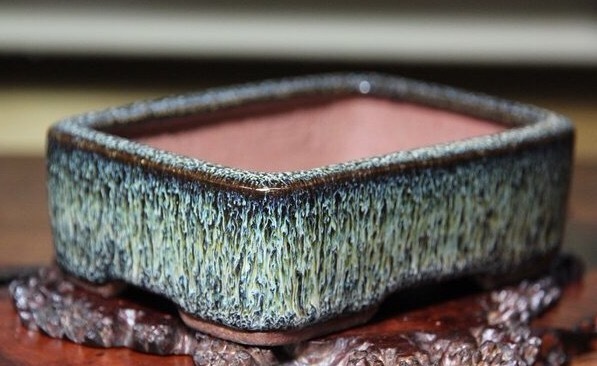 As Classical bonsai pottery becomes better known in the west, more artists are using these glazes. 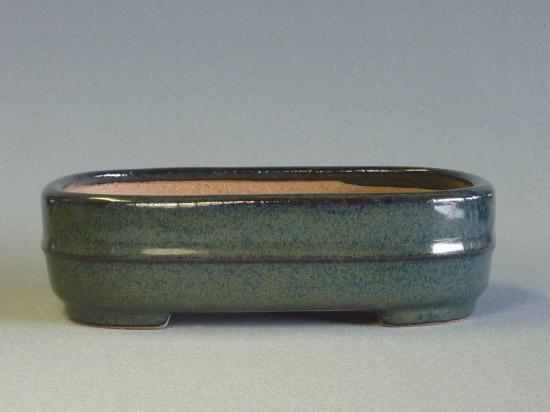 Here is a really nice Namako from Roy Minarai of South Carolina. 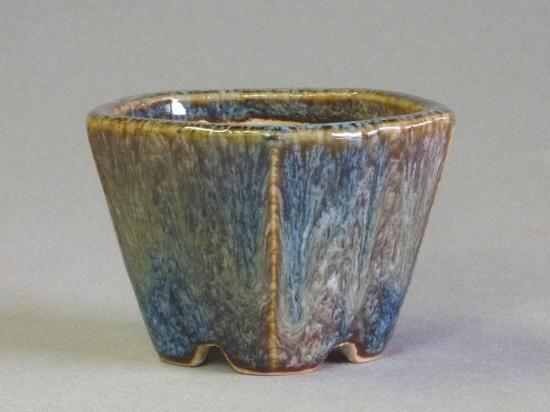 Another excellent Namako style glaze from American Stephanie Walker, showing great depth and some sweet foot drips. American Namako from Tyler Johnson, showing significant running and excellent depth. I hope you’ve enjoyed this look at classical and contemporary Namako! 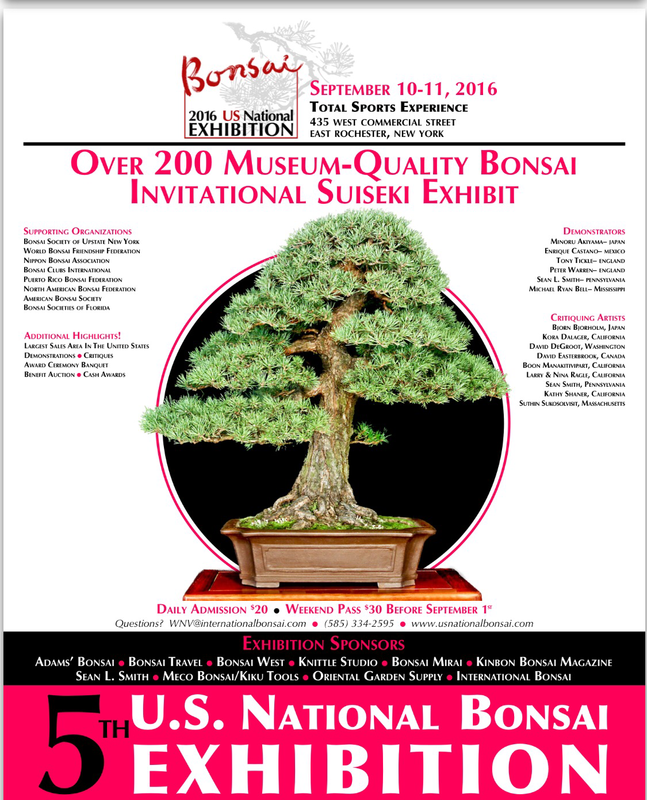 I hope to see everyone this coming September in Rochester, where I will be giving two lectures on Bonsai Containers. It’s an honor to be invited, and I’m looking forward to seeing everyone! 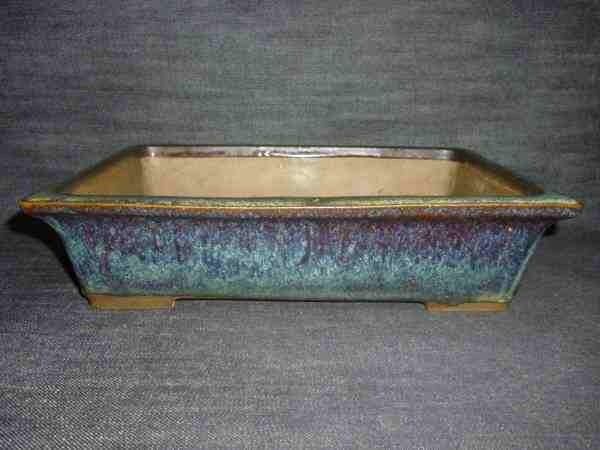 This entry was posted in Famous and Antique Potters, Modern Potters. Bookmark the permalink. Great content as usual. 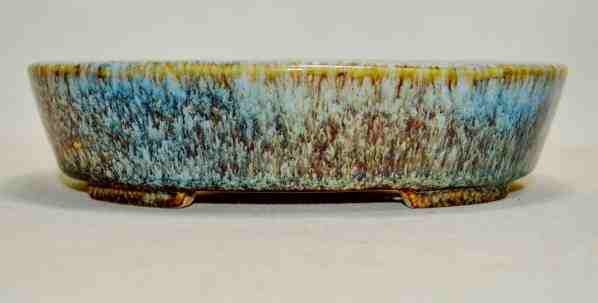 Nice to see a few western potters as well. Great article. Thanks for also posting suibans.